Need to keep the kids busy while the schools are closed this week?? 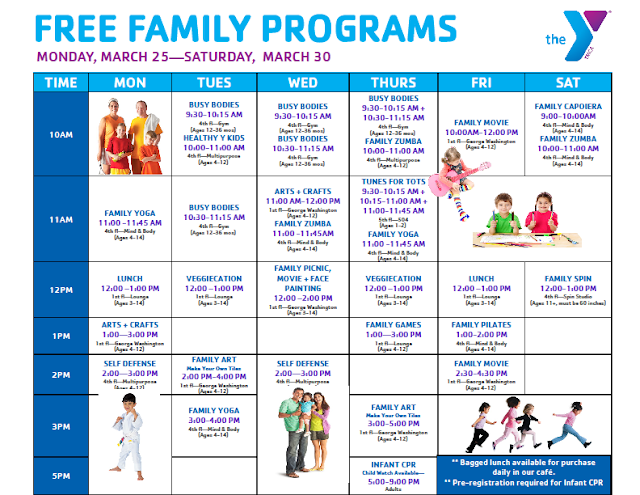 The West Side Y – 5 W 63rd Street between CPW and Broadway – is offering some great FREE programs for anyone in the community. No membership required, nor is advance registration is necessary except for swim classes and infant CPR. All the classes are drop in, so feel free to pick and choose what you would like to attend….and go!